The Thing can't stay out of trouble, but at least he makes friends wherever he goes! The Ever-Lovin' Idol o' Millions teams up with heroes both frontline and forgotten against menaces spanning time and space! Gods! Aliens! Spies! Demons! Dinosaurs! Time travellers! Martial artists! The Living Eraser and the Mountain That Walked Like a Man! A veritable who's who of history's horror heroes! 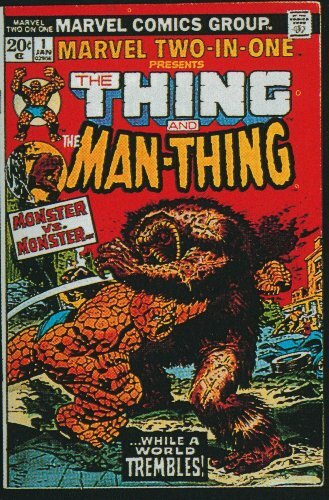 Collects Marvel Feature #11-12; Marvel Two-In-One #1-20, 22-25 and Annual #1; Fantastic Four Annual #11; and Marvel Team-Up #47.